I tried my hand a a little bit more canning. I love radishes, especially because you get to put a lot of salt on them. I once heard someone say “the radishes are a vehicle for the salt”. I didn’t realize radishes were spicy until I tasted one from the farmer’s market. After that, I never bought another supermarket radish again. 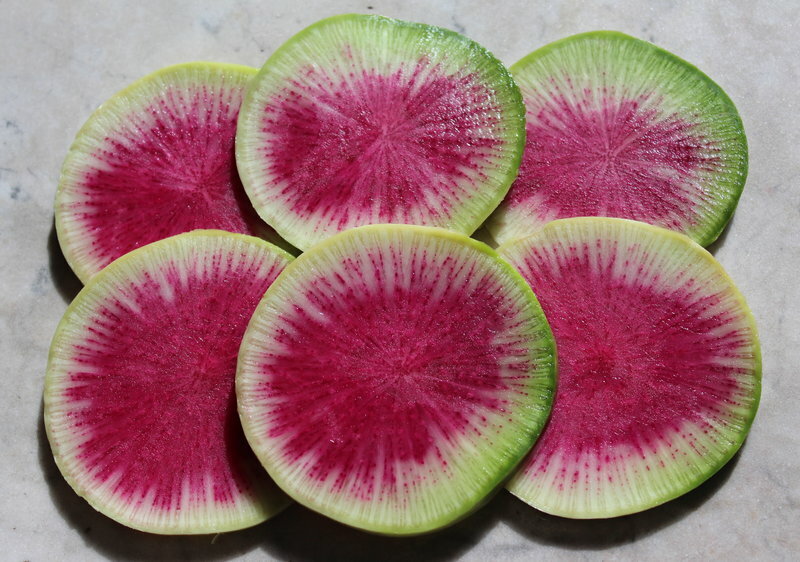 I discovered watermelon radishes at a Supper Club in Brooklyn hosted by Nan of Toast Home Cooking. The radish was beautiful and so I scoured the farmer’s market in Union Square till I found some for my first experiment in canning something that is not sweet. I just had enough for a couple of half pints which I will use on salads and sandwiches in the dead of winter. This is how I did it. I boiled half water and half vinegar with a little salt. The sliced radishes and a clove of garlic were put into the hot jars and the hot brine was added. Then I processed the jars in the hot water canner for 15 minutes. Everything turned pink. Here are instructions for safe canning. 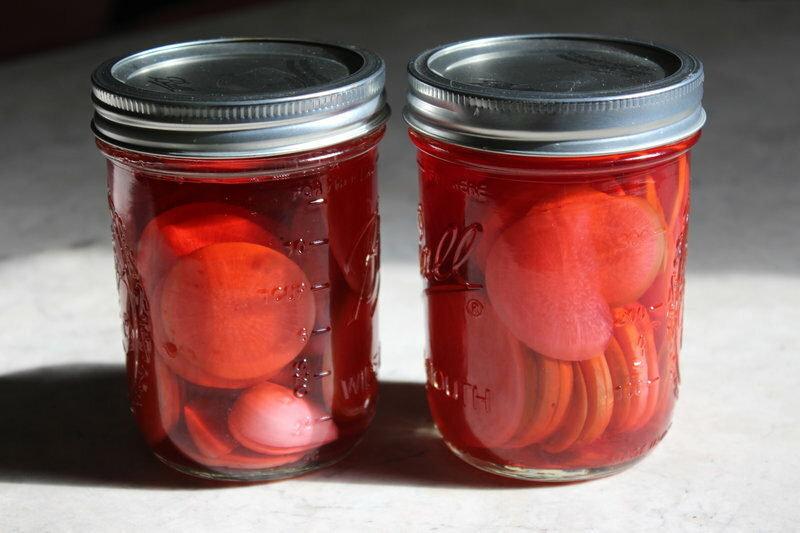 This entry was posted in food and recipes and tagged canned radishes, canning, watermelon radish by ileana. Bookmark the permalink. Thanks for reading Nan. I like the idea of rice vinegar.